The BOSS III is a dedicated 208/230 volt spraying machine for medium size jobs. 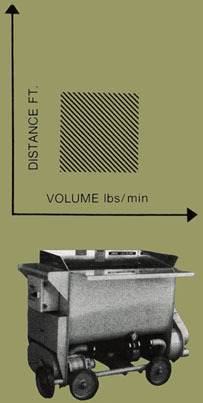 Its compactness and large hopper is common to all BOSS machines. It sprays 0-20 lbs. per min., over a distance of 200 ft. The fifth wheel is for side movement. As with all BOSS machines its durability provides for long term low maintenance service.